What is the ideal family car? There are many cars around these days but only few cars which are ideal family cars. You need to think of many things before buying. You could look up for more information about the car, or if you have got your eye on a certain car you could always rent a car out to try it out. Parkway offer contracts which is great if you are wanting to buy a car but would like to try it out first. You need to be sure that there is plenty of space in the front back of the car. Be sure that there is enough space for you and your family to sit comfortably. Car seats usually take a lot of space, so again this is something you could think about and try out first before buying. Have you got enough room for your pram in the boot? As well as other things you may need, such as your food shopping. When you have kids it is always best to have a 5 door car. I don't know how I would of coped if I had a 3 door car. The back doors are ideal to take your car seat out and in, as well as getting your child in and out of their car seats too. In some cars you can switch the front passengers airbag on and off. If you can't switch it off then you can not put a car seat in the passenger seat. This may not be the first thing you think about when buying a car but having extra storage can be ideal when you have children. You could store things in the underfloor storage, side storage instead of having to bring them back and forth to the car each time you go on your car journeys. 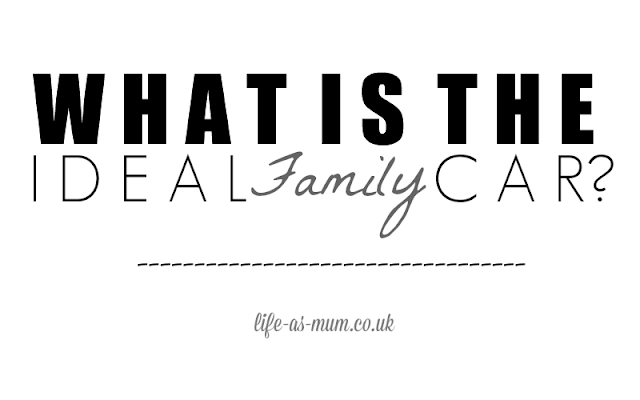 What is your ideal family car?